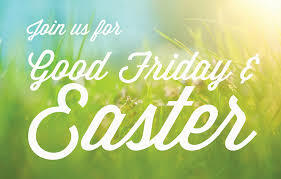 Good Friday Service with St. Philip’s Episcopal Church will be at Community Covenant Church on Friday, March 30 at 6 pm. This will be a family service, children will remain in the service. This entry was posted in Uncategorized by Claudia Bender. Bookmark the permalink.